Australia. It’s really big. How big exactly? The distance between Perth and Darwin is 4042km. Between Perth and Melbourne 3417km. You get the picture. It’s a vast continent and it takes considerable driving time to get anywhere. If you’re preparing for a long distance road trip/holiday, you will want to be confident that your car is up to the task. 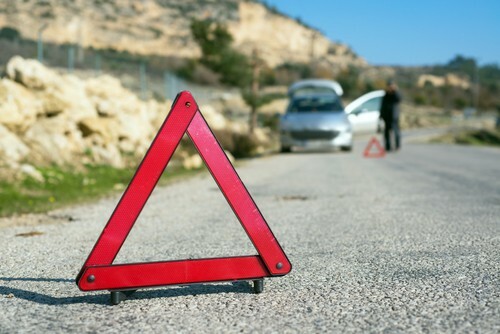 Not only will it prevent major breakdowns from occurring in the middle of nowhere, but it will help keep you safe. There are a range of things you can do to ensure your car is mechanically sound (e.g. checking tyres, spark plugs, oil etc. ), but ascertaining the health of the electrical components is just as essential and is often overlooked. What this blog is going to explore is why checking your auto-electrical system before you embark is so important. Electrical issues are tricky because electricity does not have the same physical attributes as other parts of a car. You can’t see or touch it in the same way you can with other components of the car. It order to work out what’s going on with electrical system of your vehicle, you need to have an understanding of electricity and how it works in an automobile system. Even the most competent DIYer is unlikely to possess these skills, which is why any checks and repairs should be done by experienced auto electricians such as ourselves. Auto electrical work is a specific skill. Just because it relates to a car doesn’t mean that every mechanic is going to be able to fix it. In fact, you’ll be lucky to find one who can fix electrical faults. For example, if you take a problem like a windscreen wiper that won’t turn off to a regular mechanic, they are going to refer you to an auto-electrician to fix it. That means you don’t want to have electrical problems on your big trip, especially if you plan on ‘going country’. If you experience an issue many kilometers from a large town, then you’re going to have a problem. The best way to avoid this is preventative maintenance. By getting your electrical system checked before you go, any faults (or potential issues) can be remedied. A well maintained auto-electrical system not only helps the car perform at an optimal level, but it also contributes to safe driving – you don’t want to be travelling around with faulty lights or a signal that is not working. Many electrical problems are hidden and can only be discovered by highly trained staff with modern diagnostic equipment. So get vehicle booked in before you go. Tell the auto-electrician your travel plans, because if they know you are planning on doing a long haul, they are going to be thorough and perhaps suggest that some older or more worn parts are replaced instead of at your next check-up. We hope this has emphasised the importance having your car’s electrical system checked before a holiday. Please book your car in at least a week before you leave, so that the auto-electrician has time to fix any issues.